There is growing interest in the physical and natural settings that support physical, social and psychological wellbeing and happiness. In fact, the World Happiness Report has become especially relevant in emerging markets, keen to balance economic growth with social development and environmental sustainability. Matched with population growth in cities and demand for new urban development, this presents an opportunity for public and private sector actors to consider how the built environment, and its associated polices and services, might be harnessed to enable improved happiness. 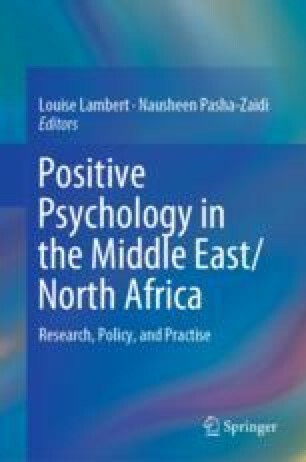 This chapter will briefly describe the key factors which impact the subjective wellbeing measure used to rank countries in the World Happiness Report and explore relationships which exist between some of these factors and the built environment. Further, this chapter includes interviews highlighting the work of private sector companies which have embraced the United Arab Emirate’s aspiration for happiness and which have set wellbeing objectives for their built spaces. Helliwell, J., Huang, H., & Wang, S. (2017). Social foundations of world happiness. In J. Helliwell, R. Layard, and J. Sachs (Eds. ), World Happiness Report 2017. Retrieved from: https://s3.amazonaws.com/happiness-report/2017/HR17.pdf. Lindland, E., Fond, M., Haydon, A., & Kendall-Taylor, N. (2015). Nature doesn’t pay my bills: Mapping the gaps between expert and public understandings of urban nature and health. Retrieved from the Frameworks Institute http://frameworksinstitute.org/assets/files/Employment/TKF_mtg_fullreport_final_2015.pdf. McCulla, S. H., & Smith, S. (2007). Measuring the economy: A primer on GDP and the national income and product accounts. Bureau of Economic Analysis, US Department of Commerce. Retrieved from https://www.bea.gov/sites/default/files/methodologies/nipa_primer.pdf. Nielsen, J. (2017). A 100-year view of user experience. Nielsen Norman Group. Retrieved from https://www.nngroup.com/articles/100-years-ux/. Norman, D. (2016). Don Norman on the term “UX”. Nielsen Norman Group. Retrieved from https://www.nngroup.com/articles/definition-user-experience/. Tariq, A. (2015). A brief history of user experience design. Fast Company. Retrieved from https://www.fastcompany.com/3043024/a-brief-history-of-user-experience-design. UN Department of Economic and Social Affairs. (2018). 2018 revision of World urbanization prospects. Retrieved from https://www.un.org/development/desa/publications/2018-revision-of-world-urbanization-prospects.html. World Health Organization (WHO). (2017). Obesity and overweight. Retrieved from http://www.who.int/mediacentre/factsheets/fs311/en/.